Every month, Jo at iCurvy hosts a "SPIN the PIN" link-up, posting an image from Pinterest for readers to take inspiration from and put their own Spin on said Pin. At first, when I saw it, I was all, "Oh I couldn't pull that off, I don't have much pastel stuff." 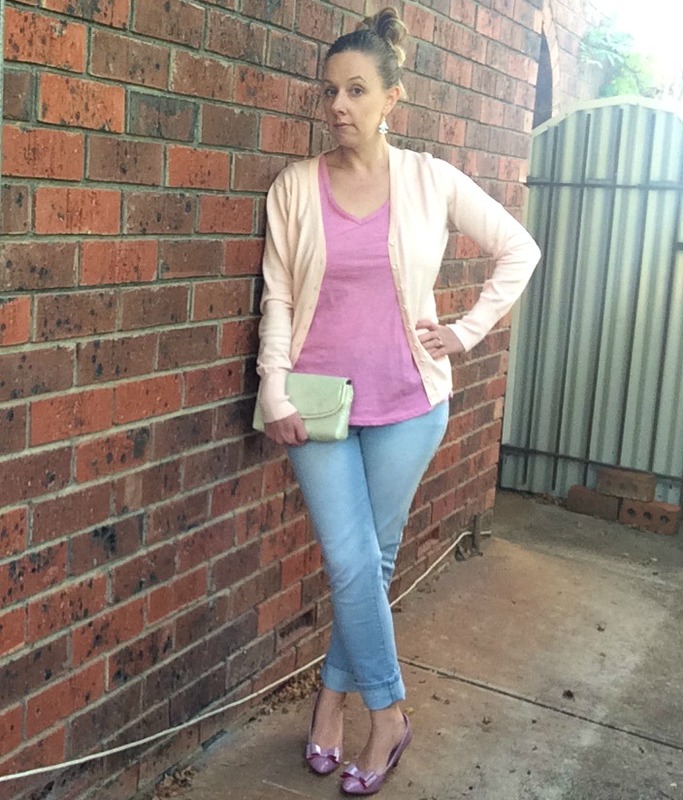 Until I had a closer look (#rediscoveryourwardrobe anyone?) and found a few things that might work. Here I present the Almost Posh submission for SPIN the PIN June. 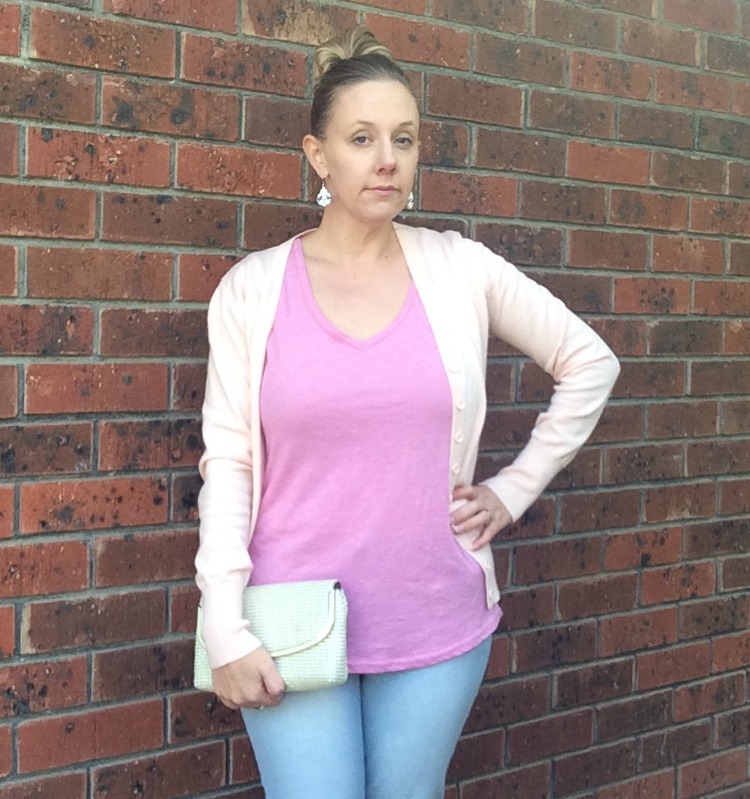 My Pin Spin is defs a casual and relaxed look, with the heels, clutch and dangly earrings taking it up to "trendy cafe" rather than "McCafe". 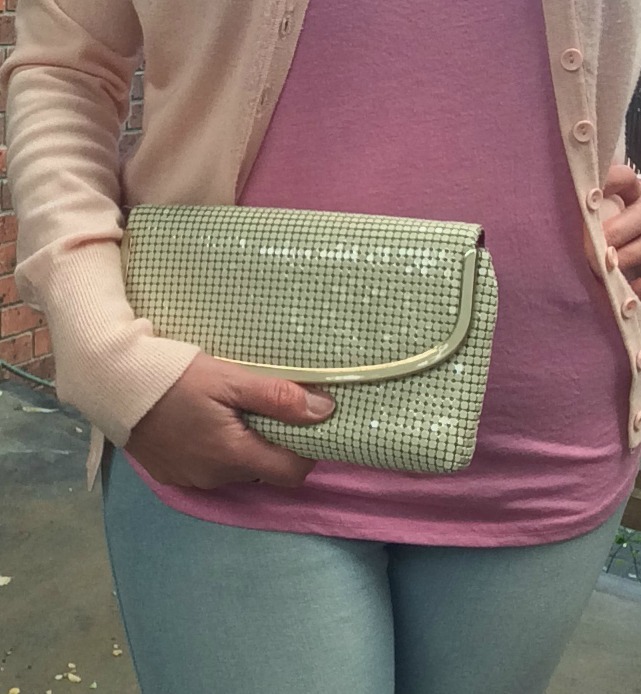 Vintage Ultramesh clutch in perfect condition for $4 at the Salvos, Port Augusta. What do you reckon; could you put your own Spin on this Pin? If so, you should totally share your style by joining the link-up or over on Insta using the hashtag #spinthepin (obvs) and tag in Jo at @iCurvy. Fun!